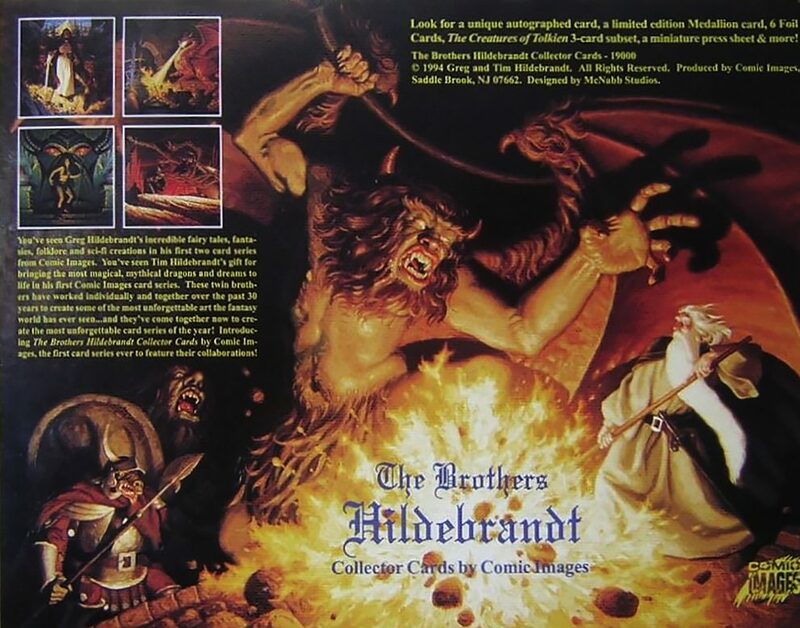 The Brothers Hildebrandt Collector Cards, cards #1-15 (1994) | 'TAIN'T THE MEAT… IT'S THE HUMANITY! 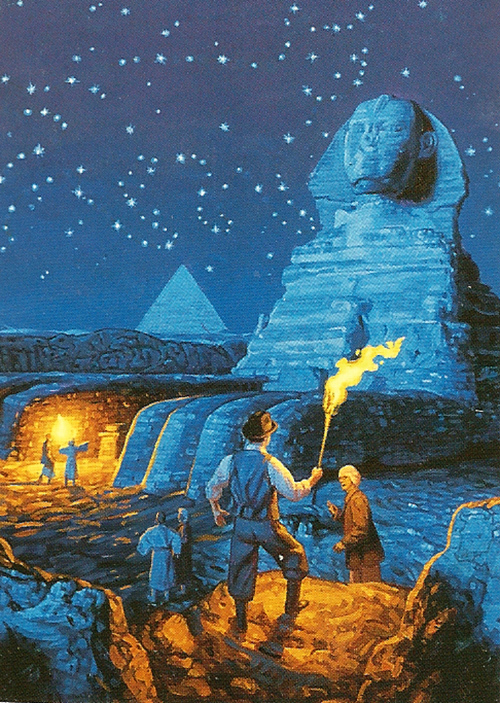 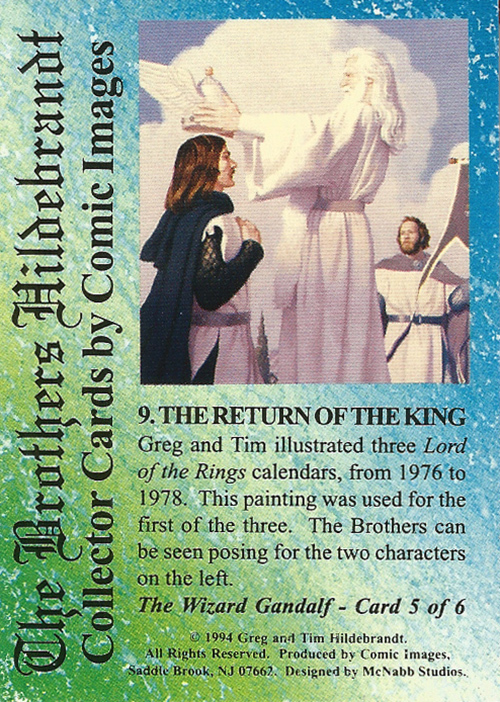 Twin brothers Tim and Greg Hildebrandt where illustrators who came to international prominence in the mid-1970’s when their 1976 calendar based on the work of JRR Tolkien became a huge bestseller. 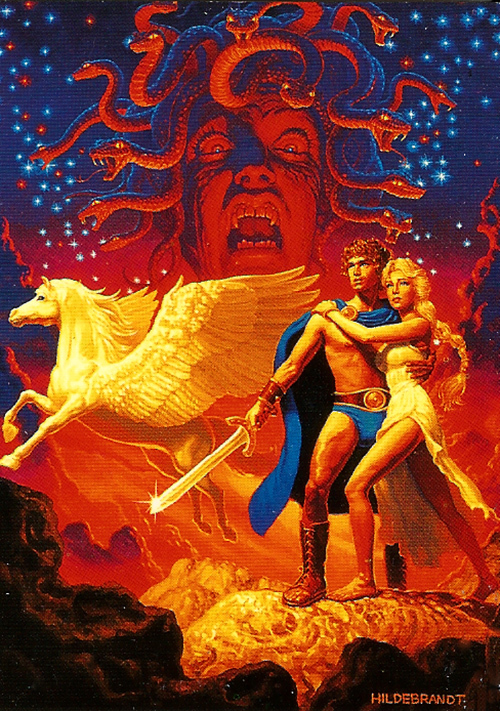 Around the same time they also painted one of the first Star Wars posters, which for a while was the best-selling poster of all time. 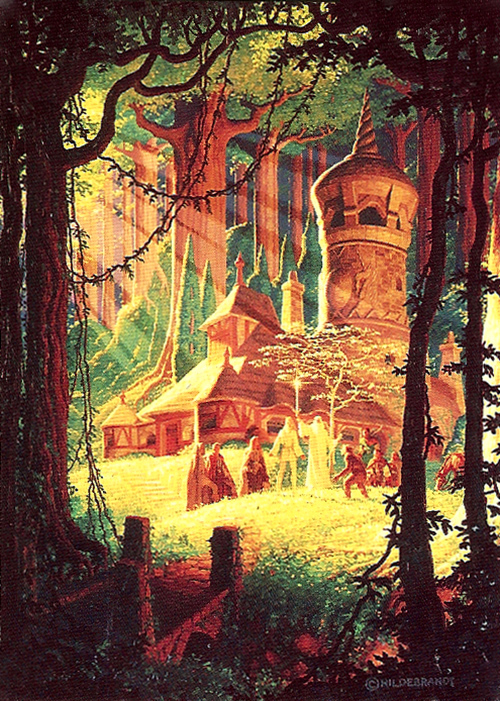 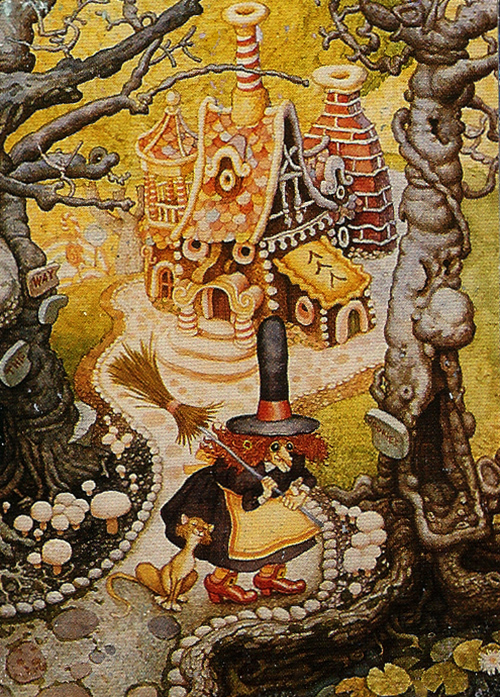 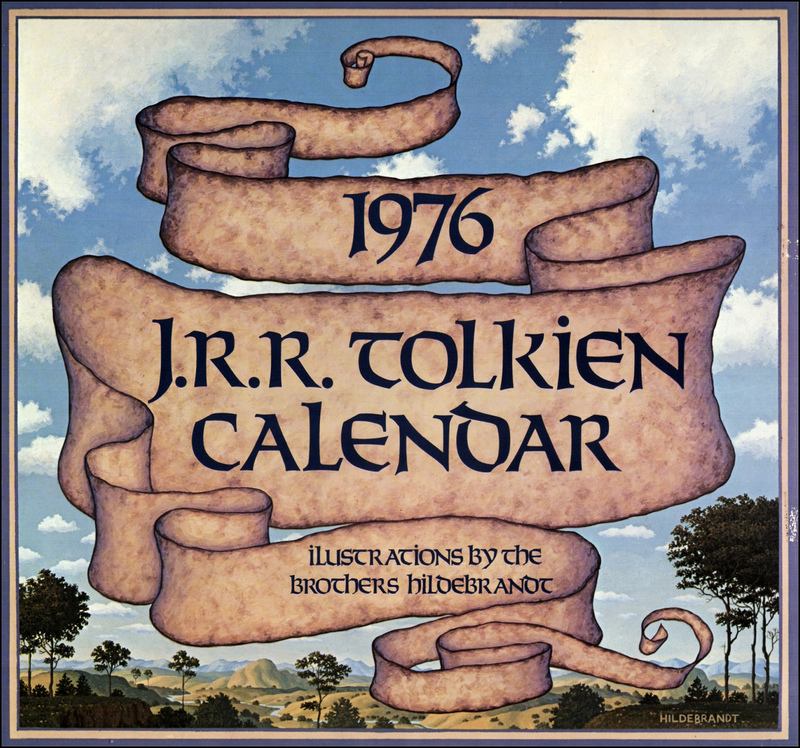 The brothers illustrated two more Tolkien calendars (published in 1977 and 1978), and also wrote and illustrated their own fantasy novel, the New York Times bestselling Urshurak (published in 1979), before separating to work individually for most of the 80’s and early 90’s. 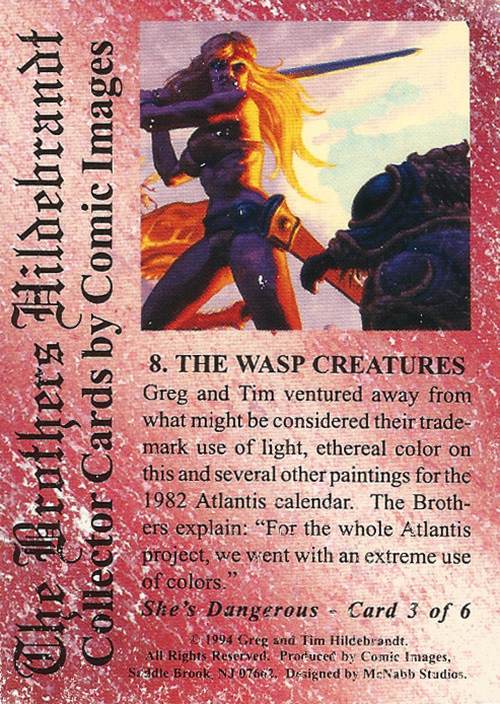 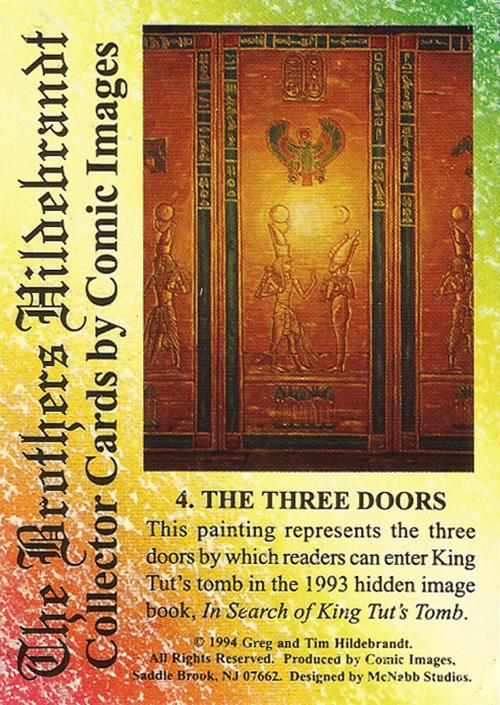 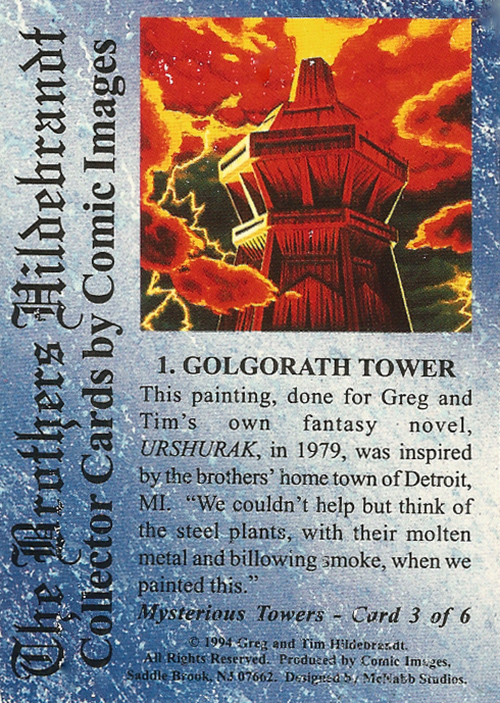 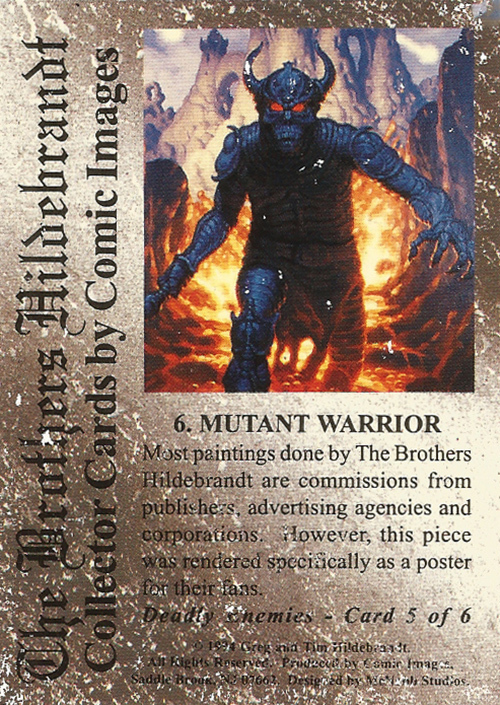 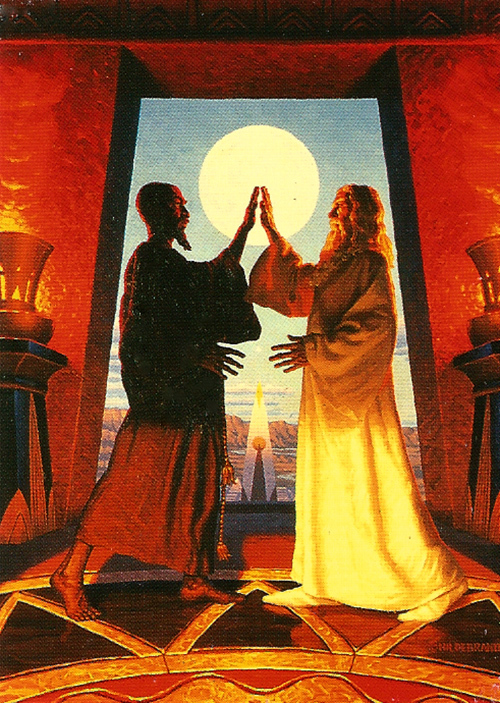 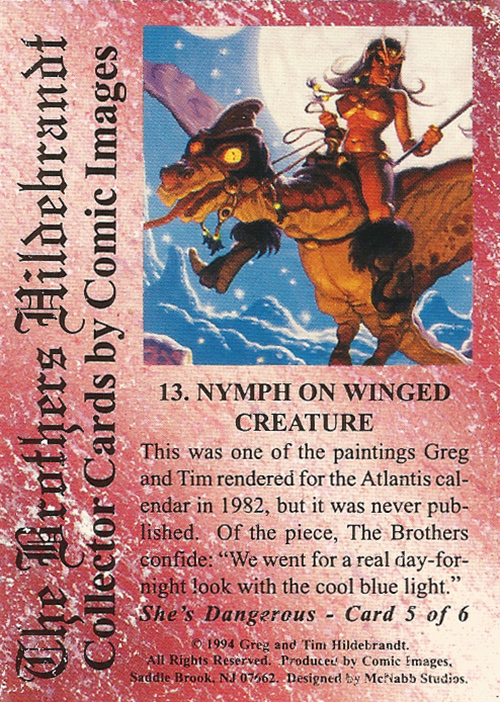 The brothers eventually reunited for Marvel Masterpieces 1994 Edition, a trading card collection published by Fleer in 1994. 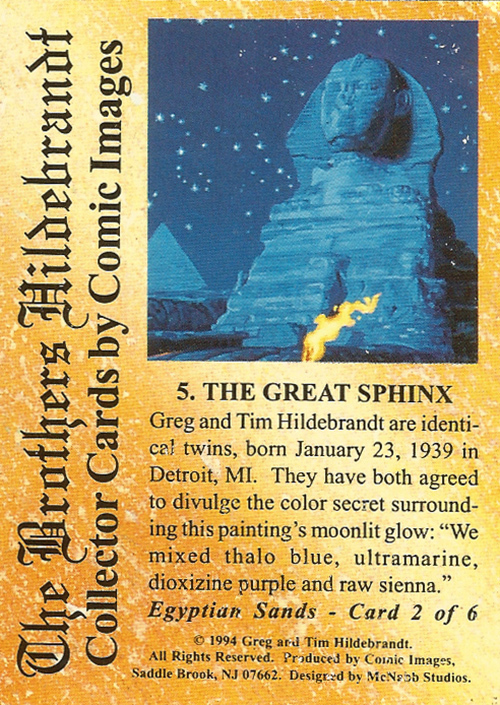 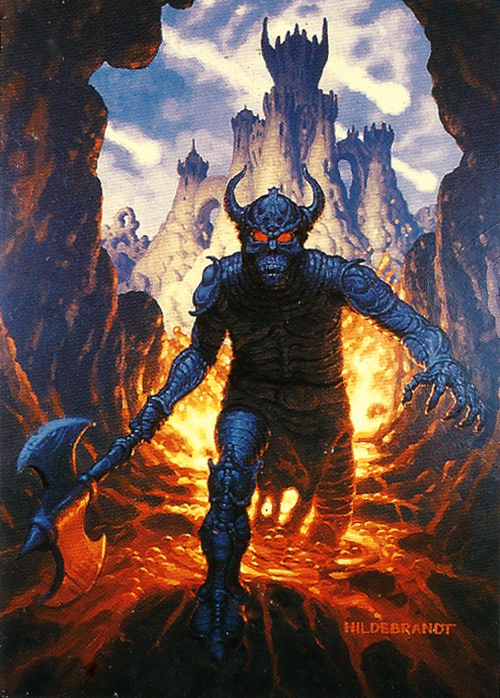 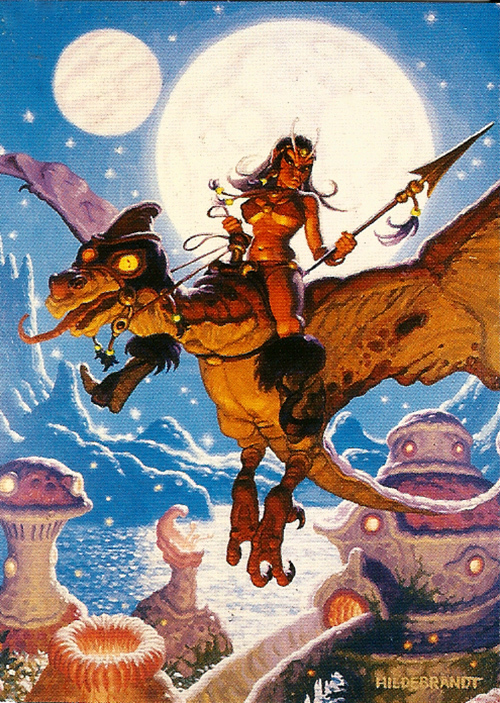 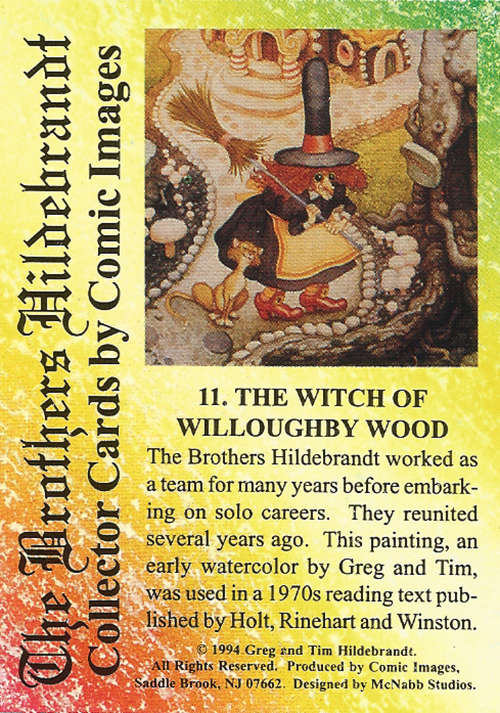 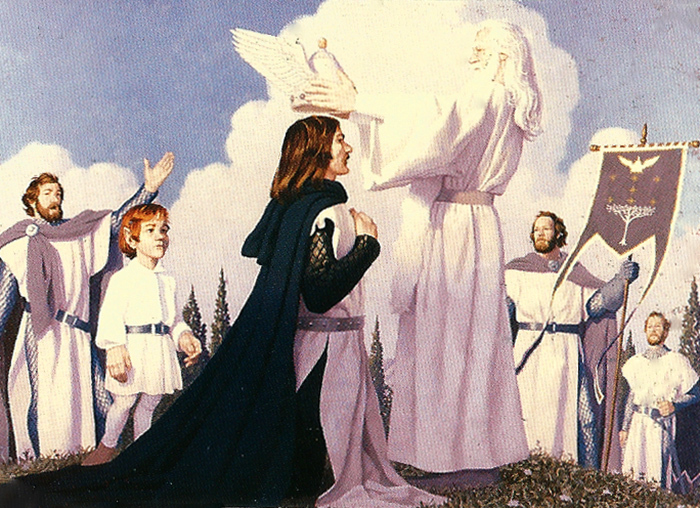 The Brothers Hildebrandt Collector Cards was published by Comic Images and comprised a set of 90 base trading cards, as well as hard-to-find foil chase cards and 500 hand-autographed cards. 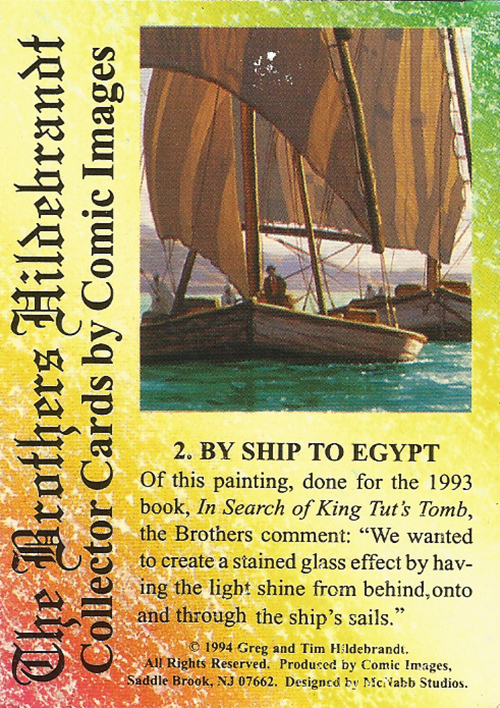 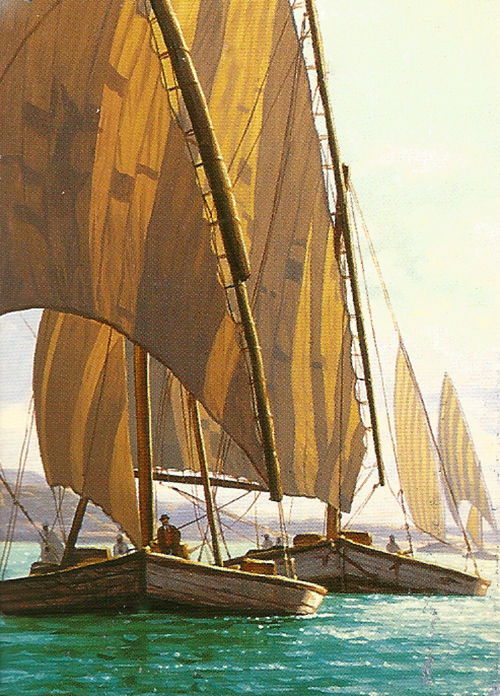 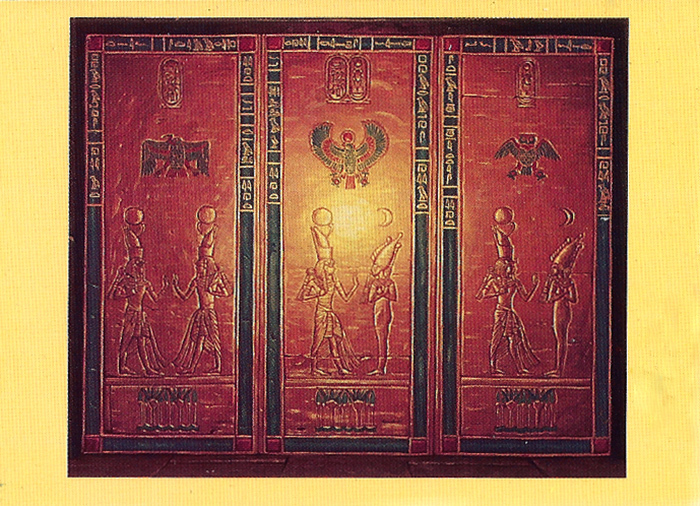 The 2½ x 3½ inch cards were sold in foil packs of ten and featured a full colour reproduction of one of the brothers’ paintings on one side, and a short caption on the reverse. 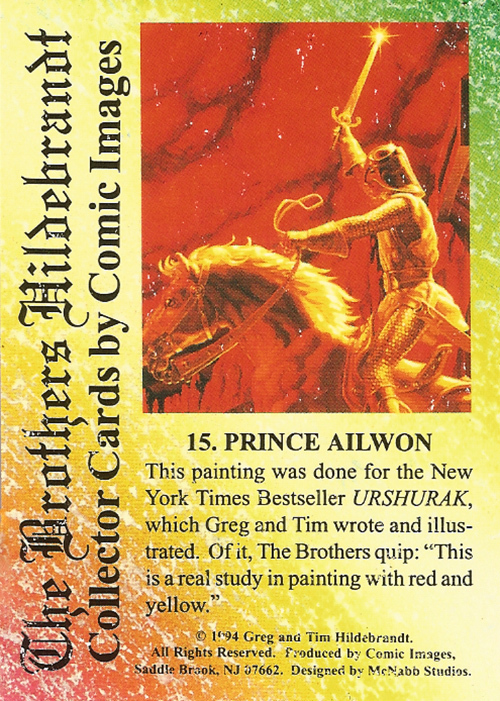 There are some great paintings in this first batch of cards. 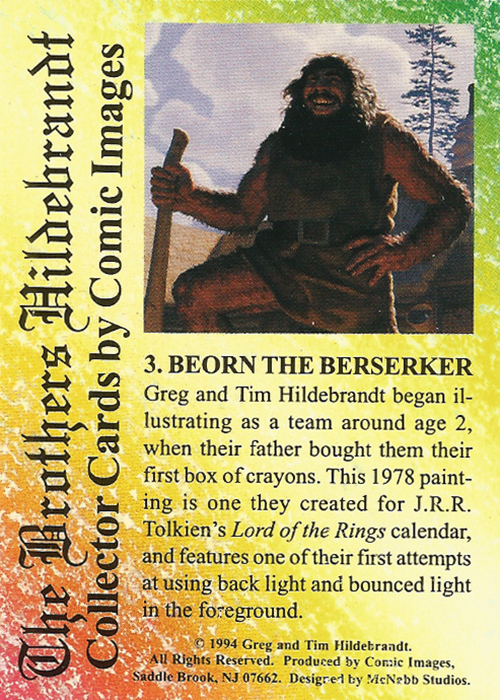 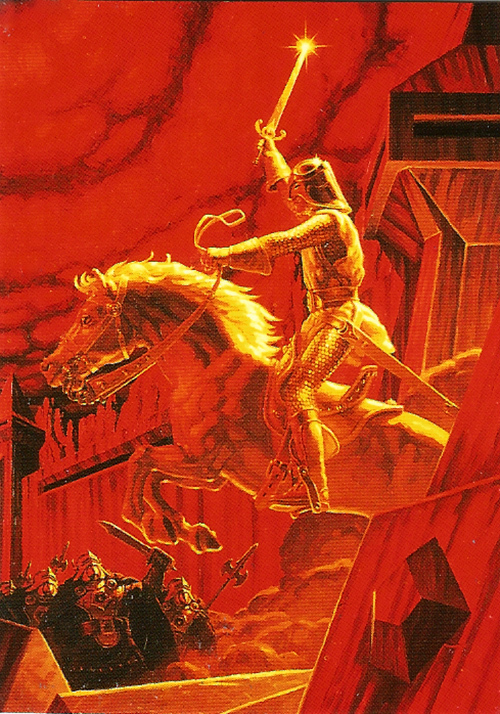 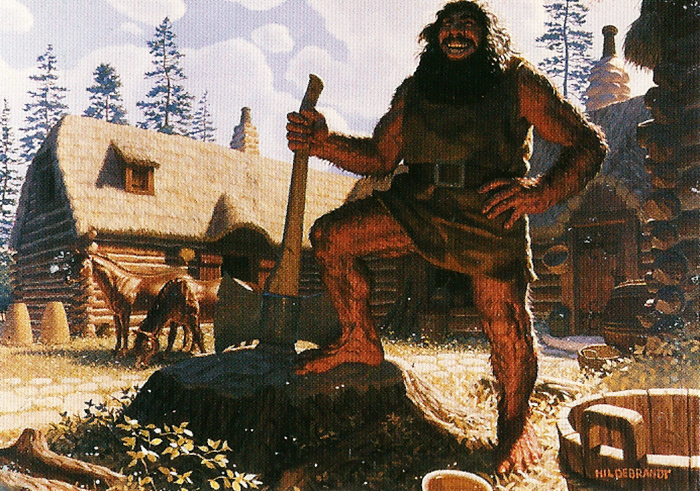 There are two illustrations from their Tolkien calendars: Beorn the Berserker (card #3) and The Return of The King (card #9). 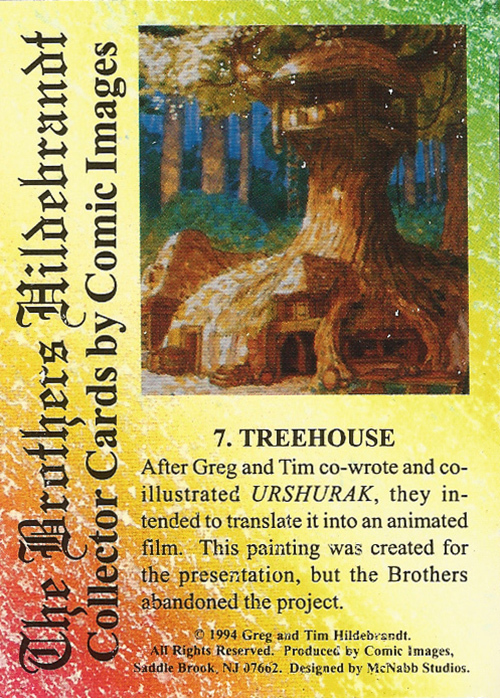 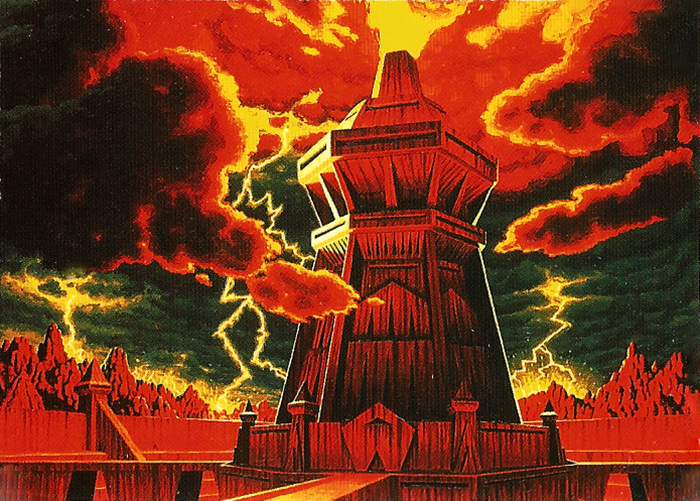 five are from Urshurak: Golgorath Tower (card #1); Treehouse (card #7); Elgon and Shandar (card #12); Mowdra (card #14) and Prince Ailwon (card #15). 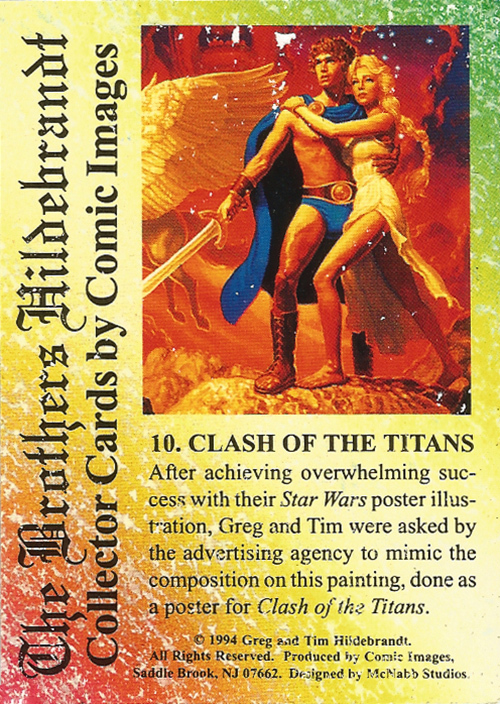 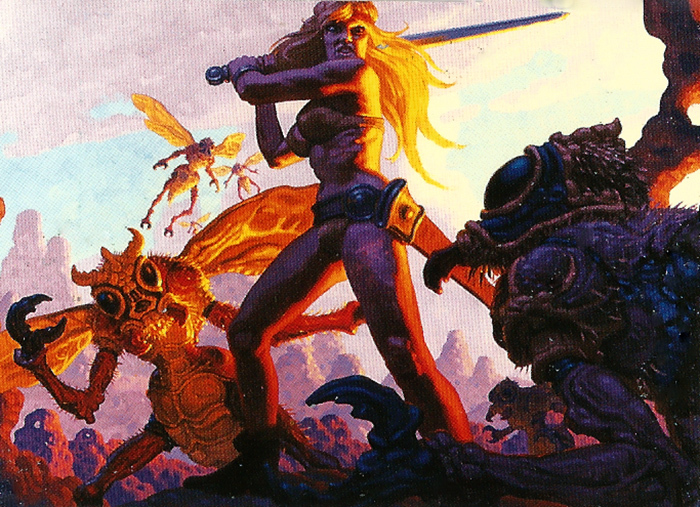 Their eye-catching poster for The Clash of the Titans (#10) is also included as well as two paintings from their Atlantis calendar of 1982: The wasp creatures (card #8) and Nymph on winged creature (card #13). 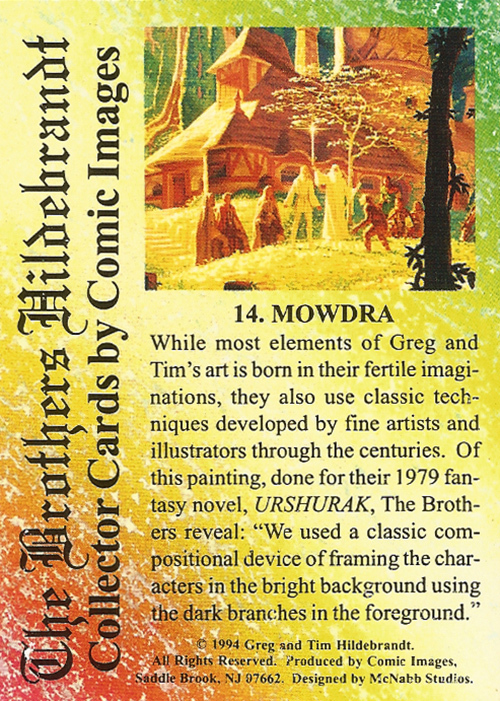 The Hildebrandts were considered masters of colour, and this first batch of cards clearly shows that that reputation was well deserved. 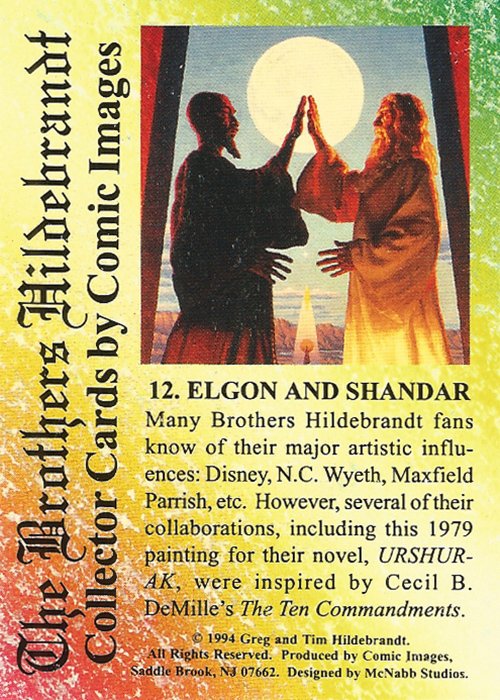 Here are the first 15 cards from The Brothers Hildebrandt Collector Cards, both front and back. 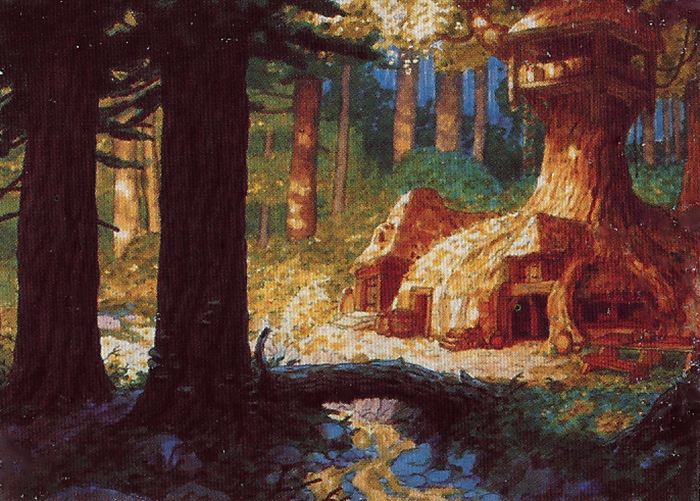 I’ll post the next batch in a week or so (click here).